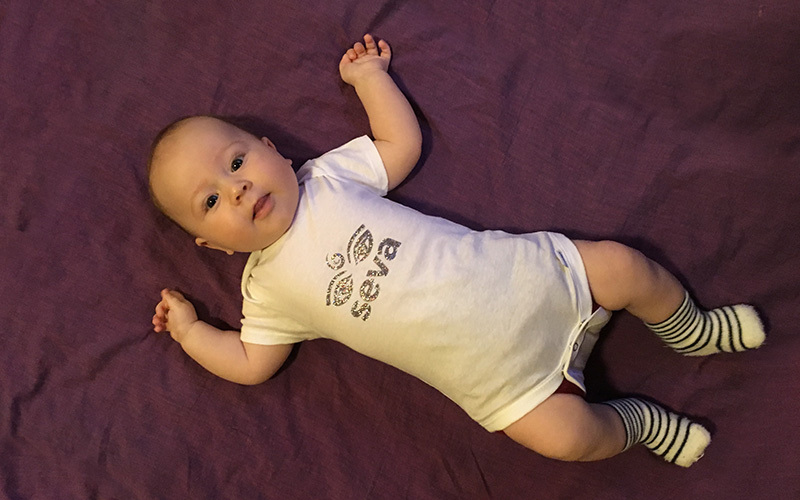 Soft cotton baby onesie featuring the Seva logo sparkly on the front chest. Nothing on the back. 100% cotton.